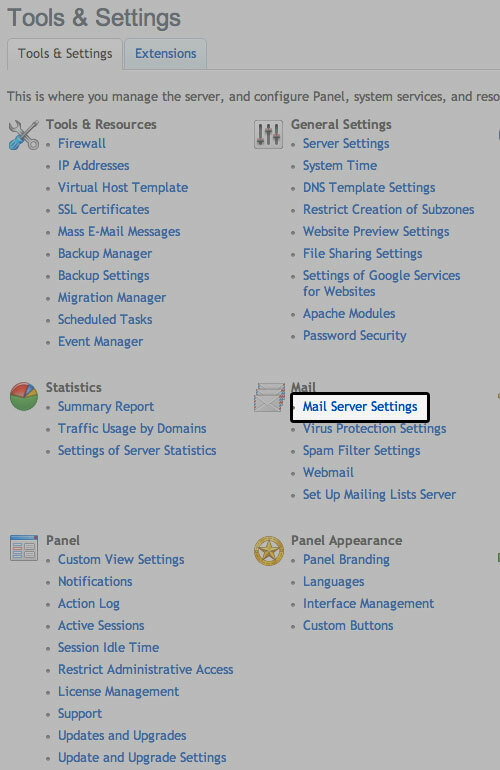 This article will show you how to access your server's mail queue through Plesk. This can be useful for both regular maintenance and troubleshooting purposes. If you cannot send e-mail through your mail server, this can mean that your mail server is overloaded and cannot cope with the amount of received messages. This can happen when somebody is sending spam through your mail server or the qmail-send daemon responsible for sending mail is down. In such cases, accessing the mail queue manually can help you identify and clear out the potential sources of such an issue. 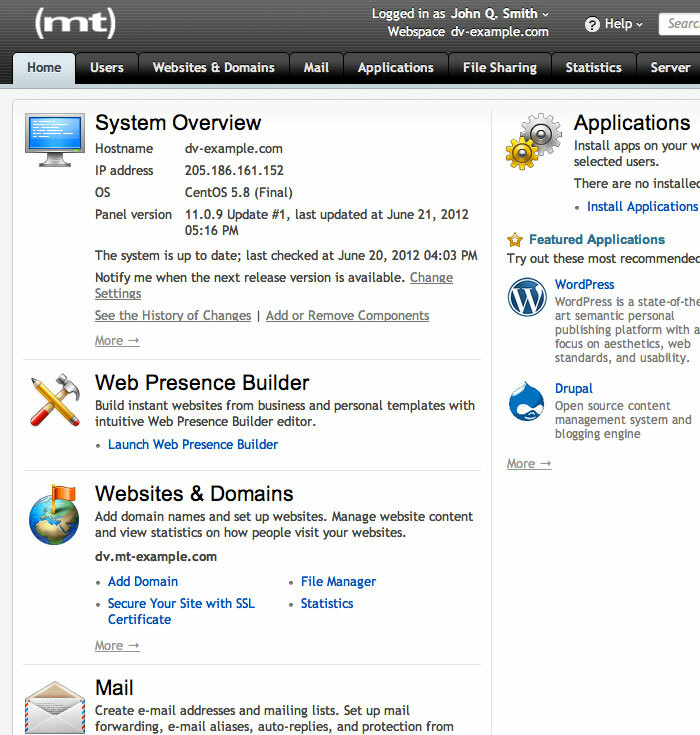 Under the Mail section, click on Mail Server Settings. Click on the Mail Queue tab. Your undelivered messages will be listed in the Messages in mail queue section.